* Course tailoring may include minor modifications such as referencing existing customer products, services and marketing approaches with respect to best practices. Deeper customization for specific clients can be handled as a custom training program. Primary Target Audience: Senior IT, Operations, Sales and Marketing staff responsible for evaluating and managing new product and service lines; may also be appropriate for new entrants into the e-presentment or archiving business. Primary Target Audience: Senior IT, Operations, Sales and Marketing staff responsible for evaluating and managing new product and service lines. 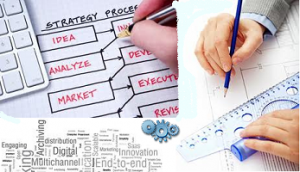 Primary Target Audience: Operations/Production Management responsible for technology evaluation and deployment.